ROAD TOWN, Tortola, VI – Two celebrated daughters of Virgin Islands soil, author Mrs Jennie N. Wheatley and former Minister for Education and Culture Mrs Eileene L. Parsons OBE today January 29, 2016 launched a revised version of their iconic and seminal work '150 Years of Achievement: 1834 – 1984' and were on hand to autograph copies for persons who made purchases. 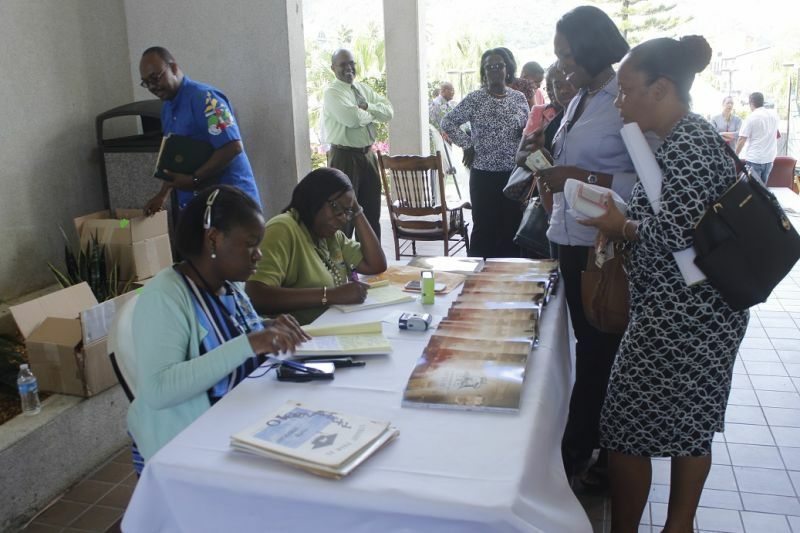 The book launching and signing took place at the Breezeway of the Central Administration Complex in the presence of Premier and Minister of Finance Dr The Honourable D. Orlando Smith, Deputy Premier Dr The Honourable Kedrick D. Pickering, Minister for Health and Social Development Honourable Ronnie W. Skelton and a host of other persons. 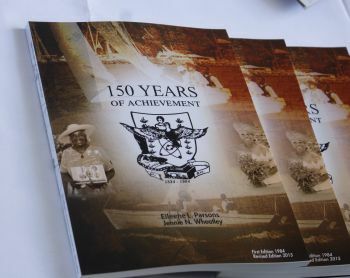 The launching of the revised version of the book was done through the Ministry of Education and Culture in collaboration with the Virgin Islands Studies Institute of the H. Lavity Stoutt Community College. 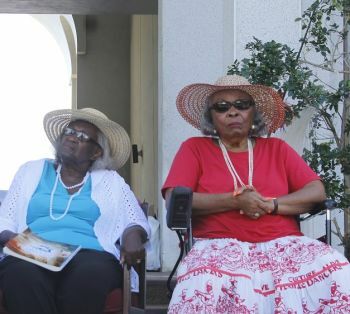 The publication compiles the history and cultural experiences of the Virgin Islands and its people from the earliest years following the abolition of the slave trade to the mid-1980s, when the territory looked vastly different than it did today. 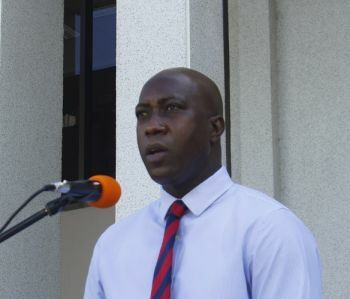 Speaking at the launching, Minister for Education and Culture Honourable Myron V. Walwyn said Mrs Parsons and Mrs Wheatley, both of whom he referred to as cultural ambassadors, continue to aid in the preservation of a Virgin Islands culture and heritage and for that the territory should be grateful. He said the heritage of the Virgin Islands is the legacy of artefacts and intangible attributes of the Virgin Islands society that are inherited from past generations and bestowed for the benefit of future generations. “I am always left in awe and admiration for Mrs Parsons and Mrs Wheatley’s talents but I am further struck by the power that has resulted when they join forces and produce considerable gifts and knowledge,” he said. The Minister called the book a comprehensive amalgamation of local traditions, displaying the trials, tribulations and the growth of Virgin Islanders over the decades. It comprises a collection of poems, songs, images and fables and it finds a way to encapsulate the literary pieces of work and stimulating visuals in the art of straw work, harvest festival, proverbial sayings and expressions, providing a compelling inside account of the unique founding culture and history of the Virgin Islands. The book is on sale at a cost of $35. this is not dog AGAIN! but I agree with the sentiment. Why? Why do you keep doing this? Wonderful! So sorry, VINO, that you didn't advertise that before. I would have liked to get a signed copy - but will still buy one. is that the news site job? ball headed hates any thing 'local' so why the hell he was dey? Tremendous achievement and congratulations to two iconic Bvislanders. This book signing must have been one of nature's little secret or invitation only! If I was in charge of publicity, I would have had events and talks in each district with a book signing on site. that is what others do on tour.